Quick and easy tasting delicious recipes are always welcome when having time to cook can be changeling. 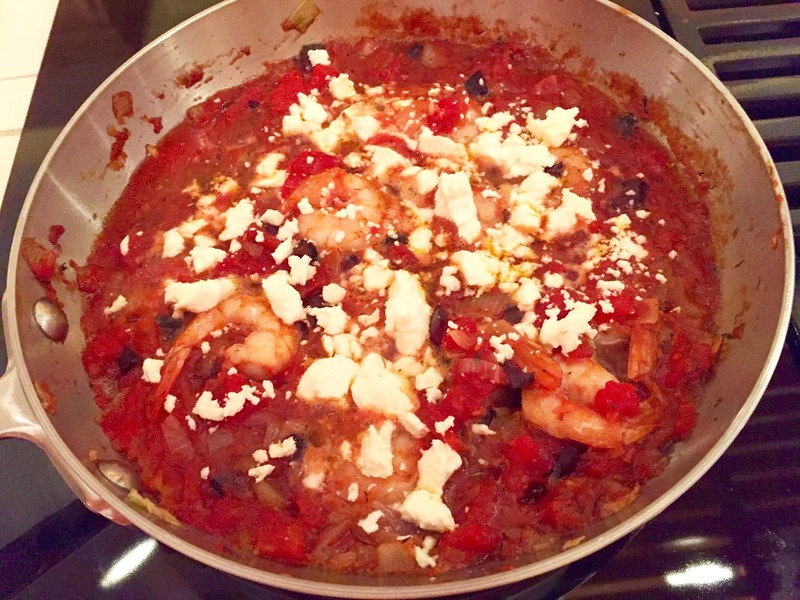 I serve this shrimp dish over Arborio rice or orzo which is a rice shaped pasta. The choice is yours. Either way the dish is so good and so easy, a quick easy homemade meal. Heat olive oil in large skillet. Add garlic and shallot cooking on low for 10 minutes until onions are translucent, do not brown. Add red pepper, mint, oregano, salt and diced tomatoes simmering for 20 minute. Add shrimp, cooking for five minutes or until the shrimp is no longer pink. Stir in lemon juice and olives. Top with feta cheese. Serve over rice or orzo. Makes 4 servings. Just add a nice tossed salad and fresh bread for a wonderfully easy and delicious meal!